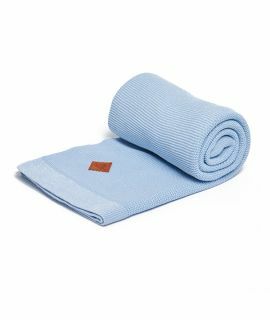 Soft, comfortable blanket made of high-quality fabric is a basic element of every layette for a new-born. 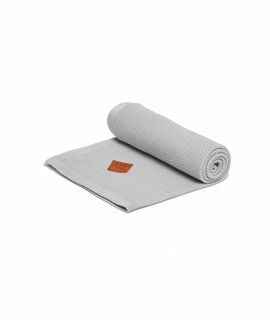 Our woven blanket with a practical hood will turn out useful in many situations, from the very first moments of your baby. It will be a perfect accessory in a stroller during a stroll, when travelling by car in car seat, in a crib and in a bed when the baby sleeps. 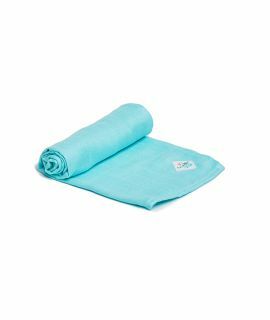 It will softly wrap your baby, ensuring warmth, comfort, and safety. 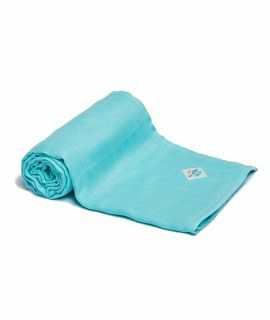 The blanket is made of natural 100% certified cotton that is adjusted to the sensitive skin of a baby. It does not cause irritations, is soft to the touch and hypoallergenic. It ensures breathability, guaranteeing optimal temperature and preventing the body from overheating. It will serve its purpose during any season, both in the spring and in the summer. The hood, stitched into one of its corner, will protect the baby’s head against chill during colder days. It will also be perfect when you want to wrap your child after a bath.